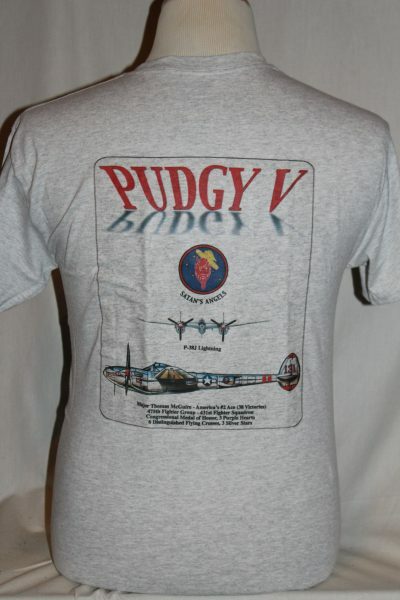 The "Pudgy V P51J" Shirt is a two sided print in the color grey. 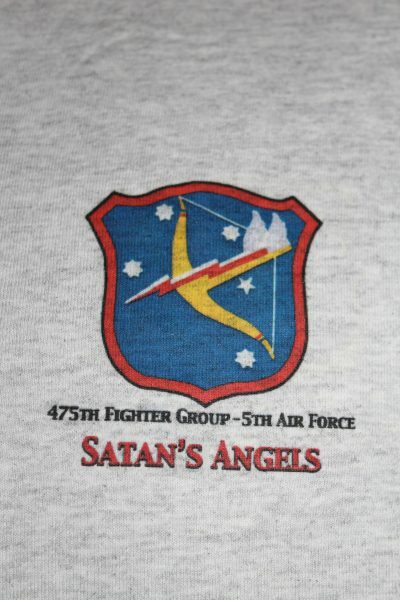 Front Design: 475th Fighter Group symbol with text. 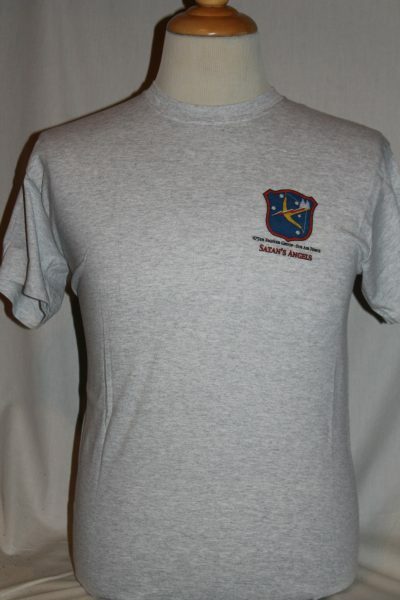 Back Design: Front and side view of Major Thomas McGuire's P-38J Lighting with Satan's Angles symbol and text.